Intrigued by and drawn to the beauty of the South Central Texas region, artist, Eric Jacobsen returns to Washington and Fayette County on April 12th, 2019. Jacobsen visited the area a year ago and was immediately attracted to the lush rolling hills and the strong contrasting trees, silhouetted against the luminous blue sky. The famed artist, based in Oregon, is recognized and known for his paintings that are reminiscent of the Russian Impressionists. He is visiting the area to create a body of works as well as to teach a plein aire (in open air/outdoors) painting workshop on April 12th, 13th, and 14th. Jacobsen’s love of painting on location reflects his admiration for a long line of artists whose mastery was due, at least in part, to painting directly from life. In the studio photos on the walls include one of a dapper Andrew Wyeth and a shot of New England painter Aldro Hibbard (1886-1972) standing before his easel in the snow. Nearby, Nicolai Fechin reproductions tell of Jacobsen’s love of Russian Impressionist art. “These things remind me of my place in the historical context of painting,” the artist says. “They remind me that I’m doing something that others have done before, that I’m part of a tradition.” In particular, Jacobsen feels kinship with the landscape and maritime painters of New England, where he grew up and learned to paint. Just as importantly, he was profoundly influenced by time spent on the land and water itself, the rocky New England coast, the North Atlantic, and the woods, trails, and centuries-old farmland near his boyhood home. painting—adding more details—will lose the mood, I often don’t want to dial it in,” he says. 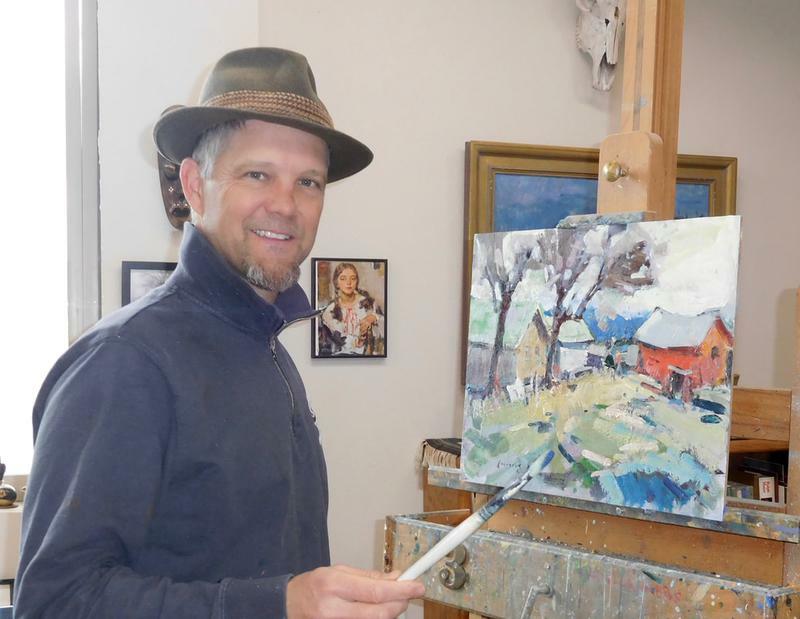 Eric Jacbosen will teach a three day plein aire workshop on April 12th, 13th, and 14th. Enrollment is currently open for a few students to study with this master artist.